You might have heard about many awesome business ideas but today I am going to share a very very great businesses idea with you with almost no chance of loss and full chance of massive profit. It is Selling newly constructed houses. Yes many people constructs houses and then sells them and earn good profit from it. I don't have Idea about other cities but in Lahore and Islamabad this business is very common. People buys a plot then constructs it in 6 to 8 months and then sell it out. 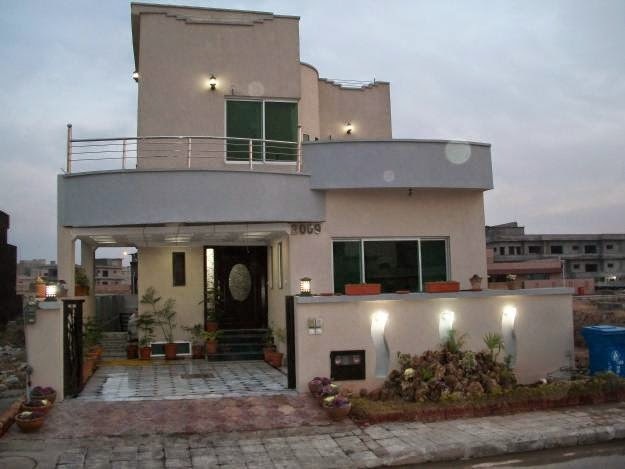 On 10 Marla double story House people often makes more than 3 million rs profit which is huge. some people even makes 3 Marla and 5 Marla houses and then sells them. Due to more demand mostly 3 marla 5 marla and 10 marla houses are made for sale. usually it takes few months for a house to get sold but sometimes it can even take up to 6 months due to increasing competition of this business. but sooner or later the house gets sold. I have never seen any person who faced loss in this business. however lots of builders uses poor material in these houses in hope of making more money. Even by using good material you can earn massive profit because percentage of profit is really high in this business. however you need enough Investment to first buy a plot and then do construction on it. Having a good map for construction is also really Important.